Broadsheet newspapers such as The Times, The Telegraph and The Guardian publish full-page obituaries for celebrities or important figures. These are mini-biographies of the person’s life. National newspapers also publish obituary notices, or death notices, for members of the public, which feature a couple of lines about the person who has passed away, along with practical details such as the time and location of the funeral. Obituary notices have also been traditionally popular in local newspapers. However, with many local papers now shifting from daily to weekly, demand has fallen. When writing an obituary, it is useful to first have an idea of how long it will be, which often depends on which platform it will be published on. For example, local newspapers will often charge by the word, so you need to set yourself a word limit. Funeral Zone’s online obituaries do not have a word limit, so you can write in as much detail as you see fit. Mood board: a type of collage that can include pictures, text and materials. Examples include photos of your loved one, keywords or ideas, or other objects that remind you of them. 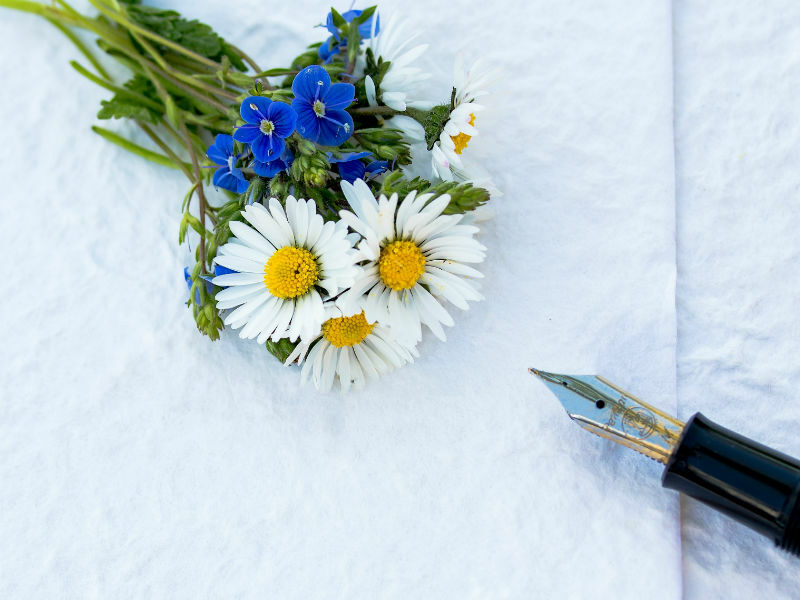 By physically arranging memories and ideas in this way, you will have a visual prompt when you come to write the obituary. The cost of obituary notices in local newspapers range from around £50 to £300, depending on how many words are included and the pricing policy of the newspaper group in question. Obituary notices in national newspapers typically cost hundreds or even thousands of pounds. Michael Jones, 55, of Ormskirk, Lancashire, passed away at home on the 14th July 2013 of a suspected heart attack. The funeral service will be held at St. Peter’s Church, Church Street at 12pm on Sunday 20th July. All welcome. Please make any charitable donations to The British Heart Foundation. Michael Jones, 55, of Ormskirk, Lancashire, passed away at home on the 14th July 2013 of a suspected heart attack. The beloved husband and father is survived by his wife, Sarah, 49, and his son Ethan, 10. Michael attended Edge Hill University where he studied English Literature. He then went on to become head of English at Woodbridge High. He was also an active member of the University's football team, and led them to victory in 1977. He was an avid football fan, and supported Liverpool from a young age. His real passion in life, however, was his family. He would often visit his sister Andrea and her husband Derek at their home in Surrey. It is here where he would spend time with his nieces, Jacqui, 14, and Holly, 15.